The FlashServer 2Ux4 Series solution Hypercube purchased compared to the competitors offerings dramatically cut the rack space requirements from 32 RU’s down to only 8 RU’s, while meeting the same performance and capacity but at a cost savings of 35% to 40%. Today the issues with larger storage sets needing to be backed up is very common. The days of backing up a few Gigabytes or Terabytes is over. These days we see storage systems in excess of 300-400 TB. The problem comes in when you build a large volume but need to back that volume up to tape within a certain window of time. 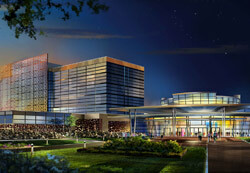 FlashServer HA accelerates order management for Potpourri Group. Replaces clustered-database complexity with single-server simplicity. A well architected VMware hardware/software cluster solution delivers superior automotive application services for ASA clients. ASA provides a SaaS (Software as a Service) that meets their client's demanding service level agreements for performance and availability. The Potpourri Group is a major retailer offering online and phone sales for its 12 catalog brands. FlashDisk speeds 3 million customer transactions, cuts daily processing time 30% and slashes month end processing 60%. 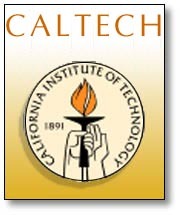 High Speed Storage Solution - Caltech Selects FlashDisk To Provide Fast Data Access to Over 10,000 Users Worldwide. “FlashDisk... a whopping 50 percent faster reading, and 100 percent faster writing than anything else that we measured..."